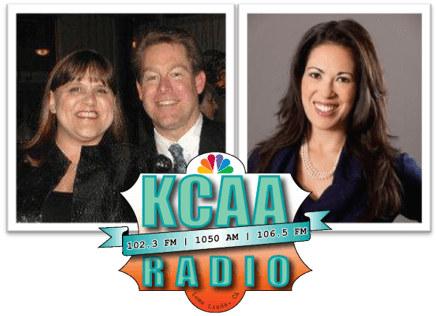 Dr. JoAnn Yanez, AANMC executive director, joins KCAA’s NBC LA affiliate On the Brink to discuss naturopathic approaches to diabetes management. Erin Brinker: So excited to welcome back to the show Dr. JoAnn Yanez, she is the executive director for the Association of Accredited Naturopathic Medical Colleges and the incoming Chair of Academic Collaborative for Integrative Health. She also serves on the Integrative Health Policy Consortium Education Committee. Weaving a passion for illness prevention into her professional life, Dr. JoAnn Yanez’s career has been advocacy, academia, patient care, and public health. As AANMC executive director, Dr. JoAnn Yanez oversees research, advocacy efforts and the joint academic endeavors of the accredited colleges of naturopathic medicine. Additionally, she helps spread awareness of naturopathic medicine as a viable and satisfying career path. Dr. JoAnn Yanez, welcome back to the show. Dr. JoAnn Yanez: Good morning, Erin. How are you? Erin Brinker: Alive, alert, awake and enthusiastic. It is a beautiful day outside, already. Dr. JoAnn Yanez: It is. There was a beautiful sunrise if you got a chance to see it. Erin Brinker: I saw it starting to peak over the mountains as I was driving in to work this morning, so yeah, it’s gorgeous. Dr. JoAnn Yanez: It is, so I got an early start to the morning as well. Today we are hosting our annual virtual fair, which is an opportunity for folks to come and chat with us virtually as well as all of the member schools, and so it’s a wonderful opportunity but we start the day bright and shine, early. Erin Brinker: Wow, that’s great, so somebody who may be considering a career in naturopathic medicine can jump online and interact with you all? Dr. JoAnn Yanez: They can. Erin Brinker: How fun is that? Okay, how do they do that, do they go to AANMC.org for that? Dr. JoAnn Yanez: Yes, go to AANMC.org, go to our events page, and you can still register for the event, it’s not too late. Erin Brinker: Awesome, alright so I’ll post that on our social media so that people are aware. That’s terrific. This is diabetes … Is it Diabetes Awareness Month? Erin Brinker: So, with the annual month-long binge, that is the holidays, actually five or six weeks, really getting kicked off next week for Thanksgiving, how do people keep themselves healthy? Dr. JoAnn Yanez: Oh, man. Well, I think in my household, anyway I think it starts actually with the Halloween candy. So every year, 1.4 million Americans are diagnosed with diabetes according to the American Diabetes Association. And right now, there about 29.1 million people with diabetes in the U.S. Those number are really strong and if you can factor in all of the people who have prediabetic symptoms whose blood sugars are borderline, whose markers are kissing that area and they’re setting themselves up with metabolic syndrome for potentially having diabetes later on, those numbers increase exponentially. Erin Brinker: There are a lot of us, and I’m going to be honest, myself included, I have been kissing that, as you say, kissing that line for a long time. And there have been times when my eating is really good and times when my eating is really not and I always seem to hover on that line. Clearly, I need to take weight off and that helps. Can you reverse that? Can you reverse being at that level? Dr. JoAnn Yanez: There are a lot of things that are reversible with lifestyle and exercise. The good news, there is good news – you can take your health into your hands and do something about it. We have a piece that we put out on naturopathic management of diabetes and we asked a number of different doctors what they do for patients. As well as patient cases and each one of them, honestly shared a case of somebody who was already on diabetes medication with an endocrinologist and being managed, and didn’t want to stay on those meds for the rest of their life and many of those people were able to through diet and exercise, reverse the damage enough to back off the medication. Now, I do not recommend doing that without the management of a medical doctor because you can get yourself into some serious trouble, but having that management with your naturopathic physician and/or your endocrinologist can potentially safely take many people off of their meds, but again, it’s got to be in a managed, thoughtful way. Now that said, there can be vascular damage that’s been done through the years of high blood sugars and fluctuating blood sugar, that may or may not be able to be undone. Some of the vascular damage, if somebody has already damaged the blood vessels in their eyes or their kidneys, that is not going to be likely to be undone, however, that said, it’s not a death sentence. You can still make many changes that can still impact your health, as well as your quality of life. And diabetes to me is personal. My grandmother died at the age of 63 from complications of diabetes and food addiction. She lost her dad, my great-grandfather to the same thing. He was fully blind by the time he passed away from diabetes complications. It hits home. That was in the 1930’s and 40’s when management wasn’t really that great, with medications and such, but that said, it hits home personally and it’s something that I’m committed to spreading awareness on that you don’t have to necessarily die blind now. Just from a clarification perspective, we’re talking about type II diabetes. We’re not talking about type I diabetes. So this specifically what we’re talking about where lifestyle factors play much more of a role is type II. Erin Brinker: So, type I diabetes is where the pancreas does not create any insulin, is that correct? Dr. JoAnn Yanez: Yes, that is correct and so type I diabetes can be classified as an autoimmune disease, where the body starts to attack the pancreas and the pancreatic cells that create insulin. And then the body is no longer able to make insulin naturally and so you have to have exogenous or external insulin in order to keep the blood sugars regulated. Erin Brinker: I think that there are so many people in the United States who have diabetes now that I don’t think people take it quite as seriously as they should. I know people who continue to eat … And I’m not perfect, I’m bumping the line, like I said. But I know people who are out of control diabetics who continue to eat sweets, who continue to eat fast food, who continue the same way that they’ve always lived. And because the progression of the disease is slow, they don’t think it’s a big deal. But the reality is, is they’re destroying their bodies. Dr. JoAnn Yanez: The train is still headed off the cliff. I think if you’ve seen enough dialysis patients or folks with blindness, it’s serious business. And it’s unnecessary suffering. But I think in naturopathic medicine, we address the root cause of illness. If you had a person who was cutting themselves. And they were physically taking a knife, and cutting their arm, that’s a sign that they’re hurting themselves. If you have somebody who is diagnosed with emphysema, heart disease, whatever it is, and continue to do the behavior, you have to ask them, what’s at the root. Why are you hurting yourself? What is that serving you? And let’s get to the root cause of this. Because the diabetes at the end of the day, honestly, Erin, it’s a symptom. Especially when it’s lifestyle related. It’s a symptom of an underlying imbalance and so what’s the root? Like in my grandmother’s case, what is the root of this food addiction, why did she feel … Why did she eat her emotions? And so I think at the end of the day, if you’re not addressing the root cause, the symptom is just going to continue to manifest. So that’s really the issue at play. Erin Brinker: And you’re not talking about somebody throwing antidepressants at you. You’re talking about the naturopathic medicine approach is looking at the whole patient and what’s driving that patient, to fix whatever is going on. Am I understanding? Erin Brinker: Wow, that’s an intervention. That’s like you would for any other addiction. Erin Brinker: So, the other thing that strikes me and this is my own bias, this is my own fear but I wonder if anybody else has it as well. The American Dietetic Association. Their recommendations for what people with diabetes should be eating, I’ve got to be honest with you, I don’t know that I trust. And I say this because … this is going to sound petty, but I put it out there because I don’t think I’m unique in having these kinds of experiences. When my mother was slowly dying from a failing liver, after one of her surgeries, she was told by this registered dietician, that an okay drink for her to have was soda, sugary soda. And I was horrified. And then other things on the list … It was just junk food and they were looking at calories and it’s like, “Wait a minute, what are you talking … she can’t put that in her body.” And I was horrified by that. Dr. JoAnn Yanez: In naturopathic medical school we have … And not to diminish the training of registered dieticians, but we do have extensive training, over a hundred hours and then if you add in the clinical background, hundreds of hours of training in nutrition. That is core, obviously along with exercise to managing blood sugar, metabolic syndrome, prediabetes, and diabetes. And what happens, some of the literature that we’re seeing is more supportive for nutrition would be things that are along the lines of the Mediterranean diet, which has been very studied both in diabetes and cardiovascular disease and lower carbohydrate modification of that Mediterranean diet. But the key goal with diabetes and prediabetes is glucose regulation and insulin regulation and decreasing insulin resistance. Dr. JoAnn Yanez: Yes, and there’s such a multi-factorial approach to this. It’s not just, “Oh, go for a walk.” Sure, a walk would be fabulous, and starting the day off with exercise. If you think of how humans were wired, would you just open up the fridge, a couple hundred years ago and grab breakfast? No, you’d probably have to go for a walk, walk to the water well, get your water supply for the day, maybe gather up some food, start to prepare some food, which up until about a hundred years ago, was a lot of work. And so most humans did a fair amount of work before they ate anything in the morning. Between walking for water and washing up and things of that sort, and so we have become very sedentary. So the more that we can get back to nature and back to how our bodies were awesomely created. I’m not even mentioning the genetics factors and cultural factors that come into play with food choices as well as genetic predispositions for disease, but that’s a whole other topic. But I think at the end of the day, the more we can get back to the way our bodies were meant to … we weren’t meant to have these mega doses of sugar all at once, even though our taste receptors are wired to love it, our bodies are not meant to handle that amount of sugar all at once. So, something like a sugary soda, I know we’re coming up on the holidays, so some of the things we’ve have … Over the years, we’ve had How To Survive the Holidays toolkits and things, but go for the proteins. Skip the sugary stuff as much as you can, you can have a little slice of pie, but maybe not three. Erin Brinker: Oh, come on! Dr. JoAnn Yanez: And make it one night. Not like, “Okay, now the pie’s in the fridge, and now we’re tempted to eat the rest of the pie, the rest of the week.” That’s some of the trouble with Thanksgiving, and the holidays in general. We tend to have all of this extra food. So pack it up, send it home with your guests, so that it isn’t sitting in your fridge tempting you to eat the rest of it. Erin Brinker: And that’s the smart thing. It’s the joy in Thanksgiving. Thanksgiving is my favorite holiday. I love Thanksgiving because it’s really so much about family and creating a warm … the warm table and the connection to one another, as we’re all dining together, but it doesn’t mean we need to make ourselves sick by eating too much food. It doesn’t mean that we have to eat junk. I mean the Thanksgiving food is wonderfully healthy and can be if you choose the right things. Dr. JoAnn Yanez: Yes, I, a bunch of years ago made Thanksgiving, and I roasted the turkey, I roasted a bunch of root vegetables and had some mashed sweet potatoes that wasn’t made with gobs and gobs of butter and cream. And some greens. And it was actually not that different from our regular table. Erin Brinker: It sounds delicious. Erin Brinker: Exactly. And sit in a coma on the couch. Dr. JoAnn Yanez: No. You felt good afterwards. That’s the key. You should feel good after you eat. Just the other day, we went out to eat for Thai food and as we’re walking into the restaurant, there was a gentleman who had abdominal obesity, a good amount of abdominal weight on him. As he left the restaurant, he was visibly sweating. The back of his shirt was soaked through. And that’s a sign that you have taxed your body through eating. You shouldn’t be sweating after a meal. That’s a sign that your gastrointestinal system is working harder than your body is able to manage. It was just visibly clear that his body was having trouble handling the load of food that he ate. Erin Brinker: So channeling Paula Dean for Thanksgiving is probably a bad idea if you’re the cook? Dr. JoAnn Yanez: I’m not slamming any one specific cook but there are a lot of ways to prepare your holiday table that have health in mind. We do have recipes on our website. We call it The Naturopathic Kitchen which is a segment that we put out through our newsletter every Saturday, that goes through all different types of herbs and spices and foods and how to use them in healthy recipes. Erin Brinker: Perfect, well Dr. JoAnn Yanez, as always, it’s such a treat to have you on the show. Let everybody know how they can find and follow you. Dr. JoAnn Yanez: Sure. AANMC.org and again check out our website, we’re also on social media, Facebook and Twitter and LinkedIn and Instagram, so please check us out, and we’ve got lots and lots of information to help you be and stay healthy. Erin Brinker: And check out the virtual fair today, if you’re at all interested in a career in naturopathic medicine. I think it will surprise you. This is not homeopathy, folks, this is real medical study. People that have doctorates in naturopathic medicine. And in many other countries in the world including Germany and China, this is as mainstream as they come and so it’s worth your while, go check it out. Dr. JoAnn Yanez: Awesome, thank you so much, Erin, for having me again. I appreciate it. Erin Brinker: Thank you, and have a Happy Thanksgiving. Dr. JoAnn Yanez: You as well, take care. Erin Brinker: You, too, alright so it’s time for a break, this is Erin Brinker, the morning show on KCAA, I’ll be right back.